What’s up guys! I am trying out vlogging because it’s so much fun and I want to show you some behind the scenes of different events or fun things I am doing. 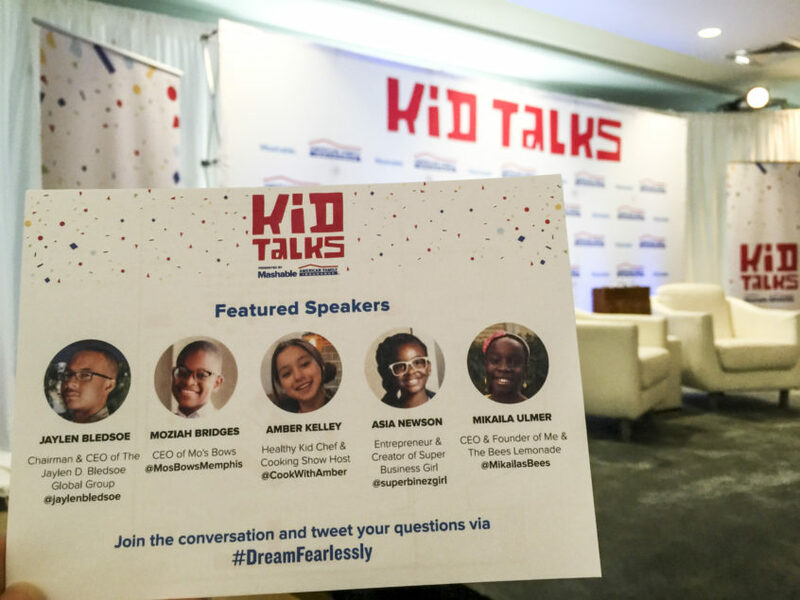 My first vlog is about Mashable’s Kid Talks event, where I got to be a “Kid Coach,” and talk about what it means to me to #DreamFearlessly, and meet many AMAZING kids! Huge thank you to everyone at the Mashable – it was an honor and an amazing experience! If you guys want to go checkout the other speakers here are the links to their websites! You guys are going to love them as much as I do!!! I did the editing myself, so it’s not that great. But if you want to see more vlogs like this, give this video a thumbs up and please comment!